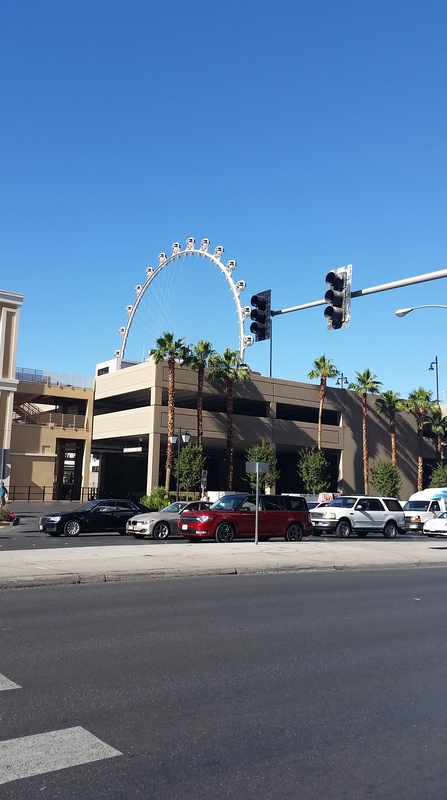 A new ferris wheel in vegas with small party rooms that go round and round instead of seats. No way for either version. Another week at Mom’s. Lots of running and writing and I managed to drag her to see Cinderella. It was very sweet and I recommend it. Thanks to the lovely boy who kicked my seat throughout the movie, I encourage people not to take children under 6. None of the wee ones I saw that day showed any interest in the film. I think I will sneak out to the new Will Ferrell movie next. Not sure if Mom will be interested but I will try to encourage her to go. Onto the word count. Most of the week was spent on edits. I don’t think I wrote new stuff until today. Goals from last week: final draft of chs 7 and 8. Rough of 9. Well, I finished 7 and wrote an additional 600 words on 8 and still didn’t finish it. I want to shut off my computer for the day, so I’m quitting there. I didn’t do much more than add a couple of notes to ch 9. I also chatted with my cover artist, gave him some basic ideas for what I was looking for, and he’ll get back to me with some sketches. Goals for next week: finish that blasted ch 8. Get a good first draft of 9. Write at least one blog post that has nothing to do with writing. Or running. Warm weather is finally here. Get outside.